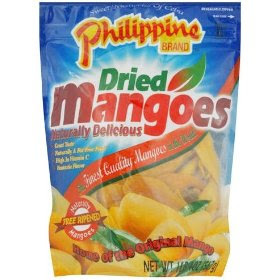 I do not like mangoes, and I bought these for Scott because on his Mission he ate Mango's all the time and since they were "Philippine mango's" I really had to buy them. However, I found myself eating them one day on accident lol and I now am able to eat those and not have chocolate! It's the weirdest thing! I really can't even look at chocolate and go "mmm thats good" I don't know if this is a good thing or bad thing lol.